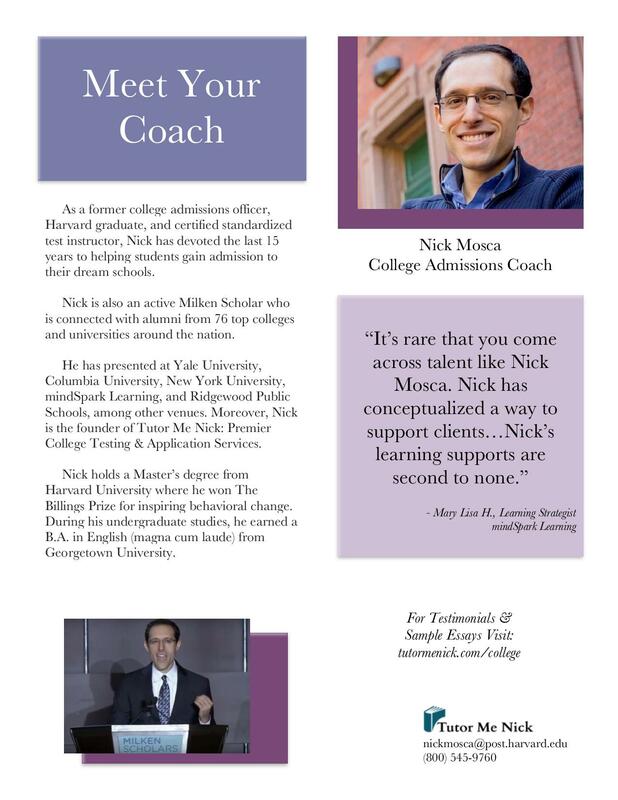 It was great experience to work with Nick for College Essays. He understands the needs and goes to very specific details about the subject. I will recommend him for anyone who wants to revisit their college essays or want to make it better or even proof read it he can be the go to person. I have my son who had sessions with him is extremely pleased with the outcome. My daughter always did well in school until the sats came along. This was the most challening time for her academically. Her guidance counselor recommended Nick to help her. He got right to work. He made the test relevant to her needs. His experience and knowledge of the test guided my daughter to a great score. Thank you, thank you! What a great advisor for college application help. He helped my daughter target colleges that were a good fit for her and write exceptional essays that captured her personality. He also helped her boost her reading sat score when he saw that was the weakest part of her app. My son had a great experience with Nick. I wish we had met him sooner as it would have saved my son week's of difficulty trying to study for the SAT and ACts on his own. Thank you Nick for all you have done for him. 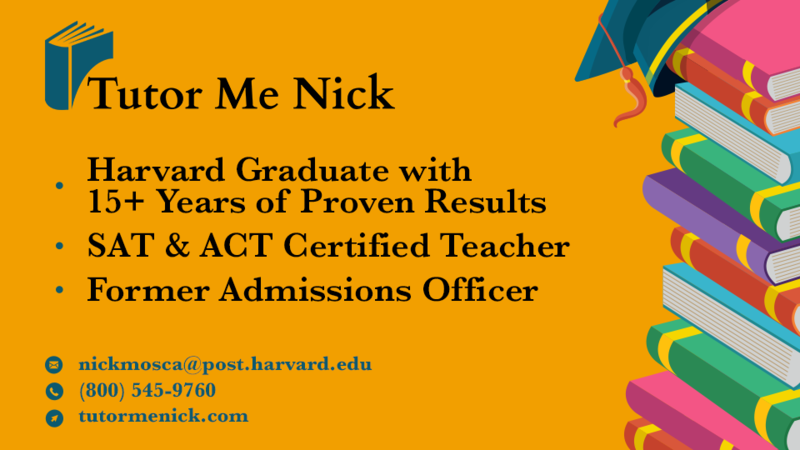 It is so hard to find a quality SAT tutor but Nick is it! He was absolutely fantastic! Nick got right to work by targeting his weakest areas. Over 4 or 5 months, my son's confidence and scores skyrocketed. Wow!! I met Nick at an educator's conference back in 2009. 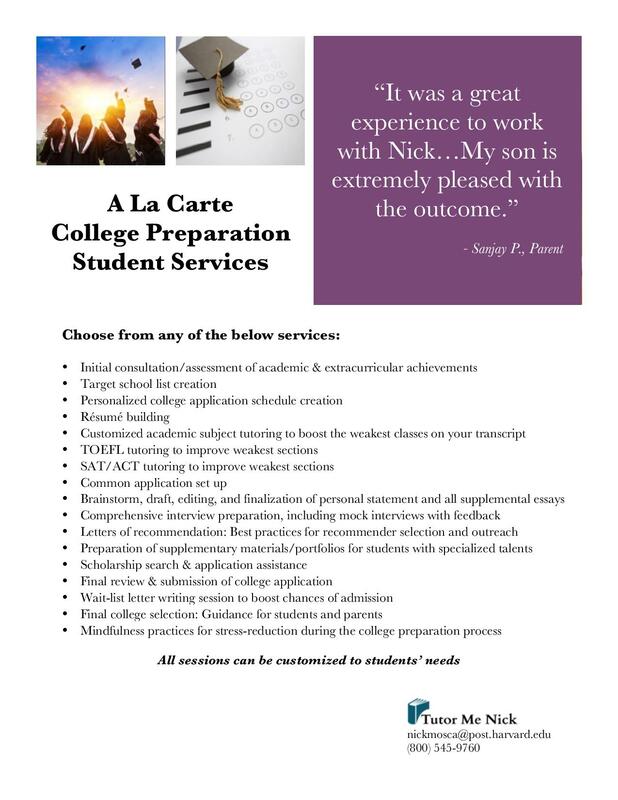 Since then I have referred Nick to my high school students for their college placement, SAT, and ACT needs. All I hear is positive feedback about his work. Our daughter struggled with both the SAT and ACT. She had 4 months to raise her sat score by 200 points and act score by20 points . We knew she needed a tutor and Nick came highly recommended by her guidance counselor. He took the time to show her tips that saved her time on both tests. We are so glad we found him. After we saw the results of our daughter's Psat grades we knew she needed a tutor. Our neighbor recommended Nick because he tutored her son for over a year. Nick was timely, thoughtful and professional. Every week he offered tips and techniques that our daughter needed. She ended up scoring into her dream college. Nick comes very highly recommended. We were having difficulty finding the right tutor for our son until we found Nick. His professionalism and knowledge are second to none. He went above and beyond for our son and made sure he learned essential SAT topics. He even rearranged his schedule to come on Saturday mornings. My son ended up scoring 230 points higher. Truly a wonderful tutor! A recent project I am fond of was helping a client prepare for her SAT under a tight deadline. Within a span of two weeks, I helped identify her areas of weakness and provided strategies that quickly helped address her learning gaps. As a result of daily, intensive tutoring, her score improved by over 120 points! If customers are looking to hire a provider in the area of college and SAT/ACT preparation, they should ask what certificates and formal work experience they have. I am honored to be a certified Princeton Review standardized test instructor and have served as a Georgetown University Alumni Admissions Officer. I frequently draw upon this work experience throughout my sessions with clients. 1) How many years of formal work experience in this field do you have? 2) What are some common challenges you face and how do you address them? 3) What is your preferred method of communication? 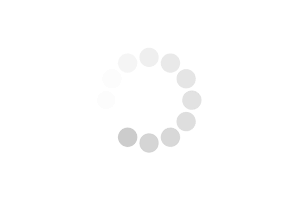 4) What response time can I expect from you? 5) How do you address the fact that each student has different learning styles and interests?  6) Do you offer stress-reduction services?